The socio-economic-political world order has changed drastically in the recent times. Leaving a wide spread warlike situation aside, it has increasingly become difficult to manage and tackle day-to-day conflicts and disrespectful situations. You never know how bizarrely the other person would behave and act in a conflict situation. In the worst cases, the conflict can end up with a deadly attack, putting someone’s life in to risk. Hence, it is important for oneself to guard against such uncertainties of life and protect oneself from unprecedented damage. This has called for a strong advocacy to use of body armor by general public. Body Armor – Why and When! “Better safe than sorry” and “Prevention is better than cure” – these are two great quotes that perfectly support the argument. Here, we mention a few situations where you must consider wearing body armour. People who are responsible for maintaining law and order in offices and other places (here we are not referring to the police or investigating agencies). Such officials always have a risk to confront with difficult individuals, where accidents and life-threats are always predictable. Though we do not suggest wearing body armor 24 x 7 in the office, sometimes it becomes out of control while dealing with a frustrated or disappointed customer, who is unhappy with the service your organization has provided. This can lead to a physical confrontation and attack, at times. Wearing body armor is a must especially when you are intentionally going and intervening in a heated argument with such a customer. Health professionals working in mental asylums and drug rehabilitation centre have to deal with certain high risk individuals. Drug users or mentally ill individuals are such potentially violent or aggressive individuals, who can bring physical harm through any means and to any extent. Sometimes, visiting clients in unfamiliar domestic or industrial premises becomes risky and life-threatening. It is also important while visiting an unoccupied building, trouble spots and strange geographical areas. Similarly, while driving on a lonely terrain or highways you may face with unprecedented dangers and confrontations. 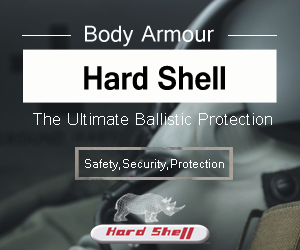 In all such situation, use of body armour will remarkably minimise injuries and life risks. The situations described above and similar few others have severely disturbed the state of personal safety. It is only through taking precautionary measures, one can ensure that at least he or she is prepared to face any unforeseen circumstance, if arises. It should never be understood that wearing body armour means you are in danger all the time. It is just like adding an extra layer of safety or protection. Wearing personal protective equipment will have a higher chance of remaining unharmed. This is similar to wearing a helmet while riding a bike or the seat belt while driving a car. You are definitely not supposed to meet an accident on the road, but you will survive a fatal casualty if met with an accident.